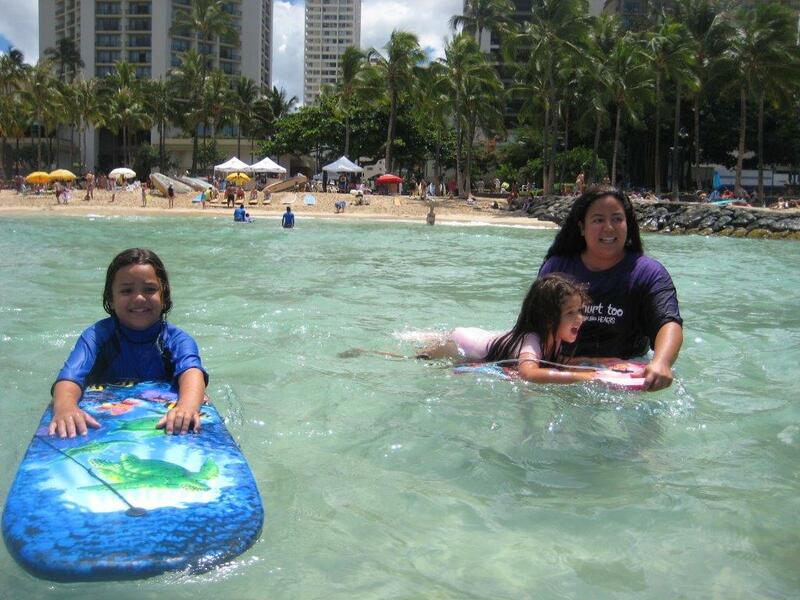 Single-mother Nicole Cruz and her children participate in a Kids Hurt Too Hawaii water activity, designed to help children cope with the loss of a parent. HONOLULU — If Nicole Cruz knew then what she knows now about her two children’s pain from her decision to leave their abusive father, she would have turned to Kids Hurt Too Hawaii a long time ago. The 37-year-old meal clerk for a charter school credits the non-profit organization for the ability of her adolescent son – Zeph, age 11, and daughter – Kanani, age 8 – to move beyond the pain of losing their father over a violent temper that landed him in and out of jail as well as permanently out of their mother’s life. Zeph and Kanani are among the more than 250 grieving children, between ages 3 and 19, that every year turn to Kids Hurt Too Hawaii for a safe space to express feelings about their loss of a parent to such factors as a divorce, death or incarceration.